When it comes to tooth decay, there are some very specific signs and symptoms that people should be on the lookout for. If someone is experiencing any of these symptoms, it would be best that they make an appointment with their dentist as soon as possible, in order to maintain a healthy dental routine. As cavities progress, tooth decay can quickly set in, and the steps to have this alleviated and fixed can mean more money and time for the patient. It is important that when a cavity first begins to form, a person typically does not have any symptoms at all. It takes visiting a dentist for your bi-annual cleaning and check-up for them to see the signs that a cavity is forming or has formed already. Once a cavity has formed, decay can begin to set in, and it is important to realize that these signs and symptoms can indicate that a cavity is present, and tooth decay is starting. 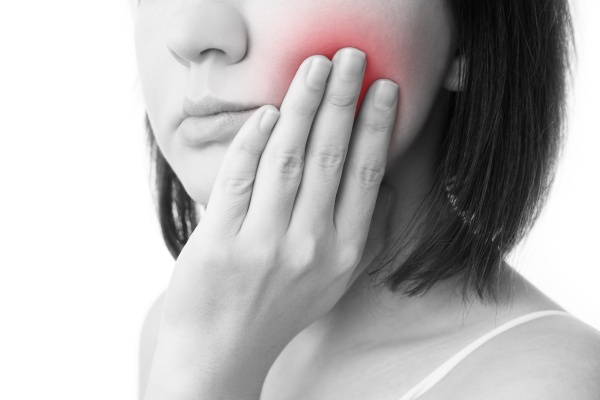 When someone experiences a toothache, this is typically an indicator that something is not right with the tooth. If someone is experiencing any spontaneous pain or tooth pain that does not seem to have any apparent reason, but it can indicate a cavity or the start of tooth decay. Tooth sensitivity can be normal for people. However, if there is a sudden change in tooth sensitivity for a certain tooth, this could be another indicator of a cavity. It is important to note when the sensitivity began and give this information to your dentist. This can help them in assessing the tooth for a cavity or tooth decay. If someone begins to notice that they are having sharp or sudden pain when eating or drinking certain foods or drinks, this can be another indicator. Again, it is important to note what is causing sudden pain. It would need to be over multiple instances, and not just one time. However, when it begins to happen, this typically continues occurring. Informing your dentist of this can also be helpful for them to asses and determine what is happening to cause the pain. If someone begins to notice that stains are forming on a tooth and the stains are brown, black or white, this could be another indicator of tooth decay. Visible signs of stains on the tooth's surface can mean that the tooth itself has started to take over due to erosion over time. Noting when you first noticed the stains would be helpful to your dentist. If this occurs with some of the other indicators that were mentioned above, it is important to make an appointment with your dentist as soon as possible. Have more questions about possible tooth decay? Contact us today! If you have more questions about the signs and symptoms of a cavity or tooth decay to be on the lookout for, feel free to give our office a call. Our staff is always ready to help in giving you the most information possible to help you make the best decisions for your teeth and oral health. Contact us today!